Chocolate is not only delicious, but also a very good artistic medium. It can be molded, sculpted, colored and embellished. Neuhaus, a Belgian chocolatier, doubled up on their inspiration, creating chocolate boxes shaped like hazelnuts, then filling them with realistically-sized hazelnut chocolates. Autumn and harvest themes are traditional for this time of year. But Halloween is catching on in many parts of Europe. The hazelnuts were forced to share the window with Mr. Jack O Lantern. His Halloween friends were creeping up from the background, ready to take over from the chocolate nuts, fruits and leaves that used to hold pride of place. What's next? 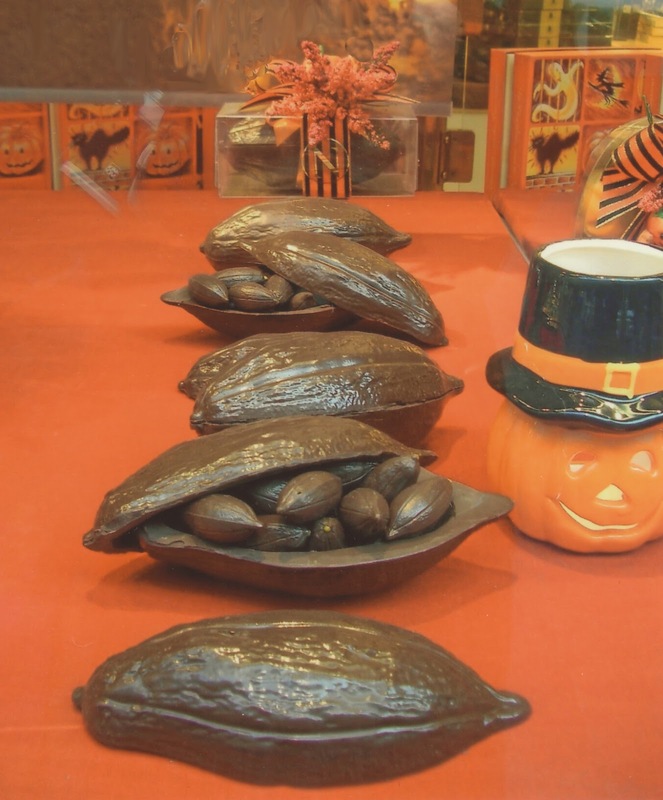 Pumpkin-shaped Peeps in Paris?